SVG stands for Scalable Vector Graphics. SVGs have an XML-based syntax similar to HTML that can be used within the DOM element. This aspect makes SVGs very different from bitmap image formats (GIF, JPG and PNG). A bitmap image is composed of a fixed set of pixels, which is why they can become pixelated or blurry when scaled. SVGs are not just a pictures. They are a group of vector-based elements (paths, shapes and fills), each of which has its own properties. These unique attributes allow us to enlarge SVGs while preserving their appearance (looks great at any resolution) and also style and script them to do cool things like animate or be transparent. SVGs typically have smaller file sizes which can improve page load times, an important part of search engine ranking. They are also text-based, which allows search engines to read their contents easily; indeed, SVG metadata can be crawled and indexed by Google. JPGs and PNGs rely solely on the ALT attribute, which can be a bit limited for complex infographics. SVGs also have description and title tags which add an additional accessibility benefit. SVGs are great for responsive design. 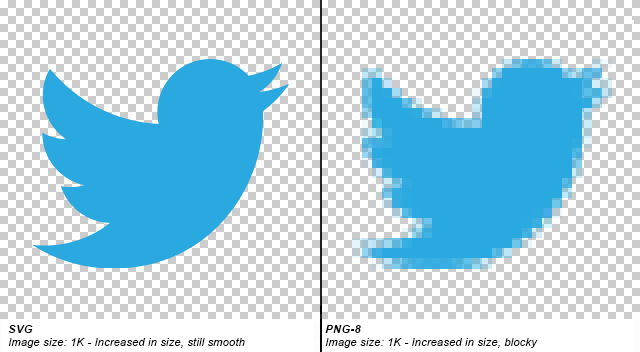 Since SVGs are vector-based, they can be scaled to any size without losing quality. GIFs and PNGs often have to be saved at twice their intended display size to avoid appearing blurry on retina screens. With SVG, your graphics will always be sharp and pixel perfect. So if your logo looks blurry on a mobile or HD displays, use an SVG instead. Icon fonts such as Font Awesome are an easy way to add icons to a project. However, fonts are not meant to be icons. And as such, they are often displayed through CSS within empty HTML tags (eg <i class=”fa fa-calendar”></i>). Not great if you care about semantic HTML. Worse, they’re terrible for accessibility without a lot of workarounds and fallbacks. Icon fonts can also fail to load in some cases when loaded cross-domain (from a CDN, for example). 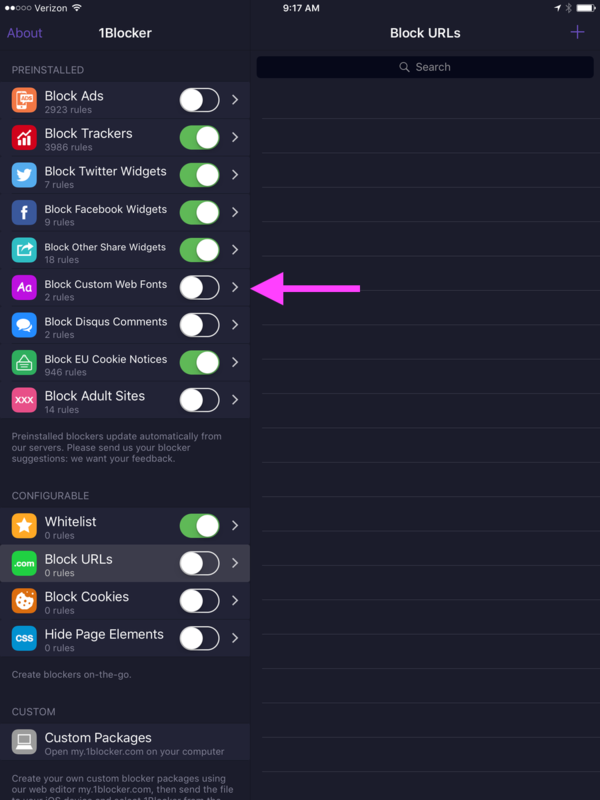 It’s also possible to block custom web fonts with some ad blockers. Then there’s the fact that you’re loading a huge font file while only using a handful of icons from it. In short, use SVG instead. But let’s say you have the .AI or .EPS file and nothing else. Then your best bet is to try a converter website like CloudConvert.com. SVG works within regular ol’ HTML code. Just copy and paste everything within the SVG tag (avoid using older object tag method) into your code. They can also be linked with img tag or used with CSS. One caveat is WordPress doesn’t support SVG uploads without a change to functions file or plugin (recommended). In 2019, using SVG is a best practice for modern web development. They’re accessible, fast-loading, and look great across all devices and screen resolutions. Luckily, it’s never been easier to use SVG. Dive in. The most fascinating thing for me is exploring a variety of the world’s aspects. Without this I would not be able to understand depth of improving websites and meaning behind interactive design. Currently, my areas of interest include: science and holography, history and sociology, linguistics, architecture, travel and all kinds of visual arts.